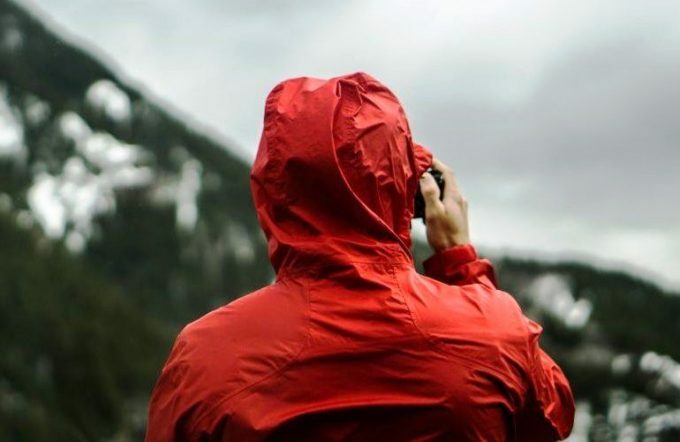 Outdoor adventures in the rain can be a lot of fun, but not taking a good care of your rain jacket can cause a lot of trouble. Some might think that a rain jacket is washed off by itself, but if it was like this, no one would google How to wash rain jacket, right? 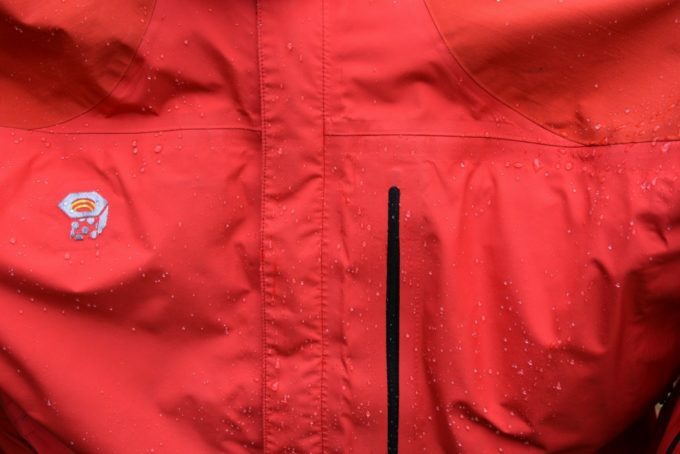 Washing the rain jacket is not an easy task at all and you need to learn everything about it. The washing of your rain jacket will give you the chance to use your cloth longer. An excellent treatment of your rain jacket will make it durable and useful for as long as it is possible – the surface of it will be shiny and strong and you’ll always stay dry in the rain. Keeping your jacket clean will make you feel protected and safe. A rain jacket must be treated with care to keep it in good shape. 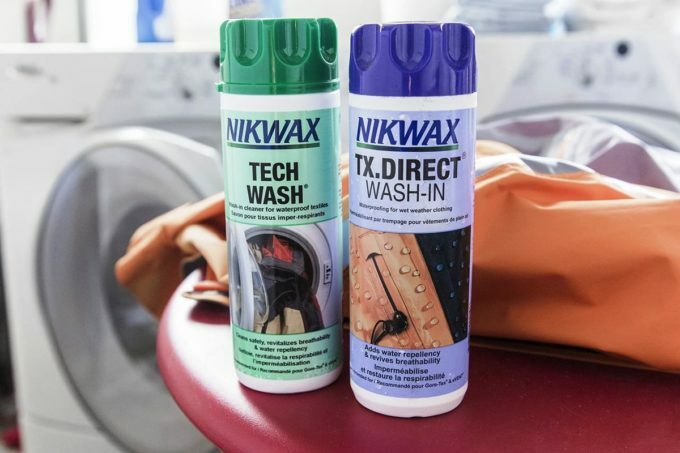 The washing is not a simple task, so in this article, we’ve written all the important aspects of keeping your jacket in perfect condition. If you have a new jacket, or you need to revive your old one, keep on reading to learn everything you need to know about this! 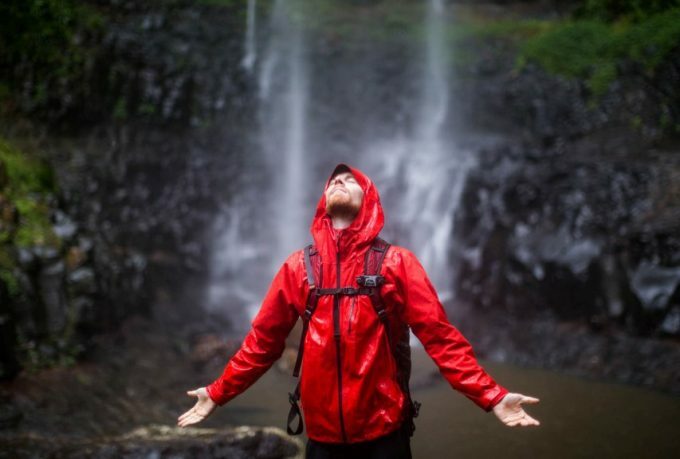 A rain jacket might look like it’s just a normal fabric with a surface that is waterproof, but actually, rain jackets are much more than just that. A rain jacket is specially designed to let one kind of water in and out, and other keep out of getting through the surface and make you wet. 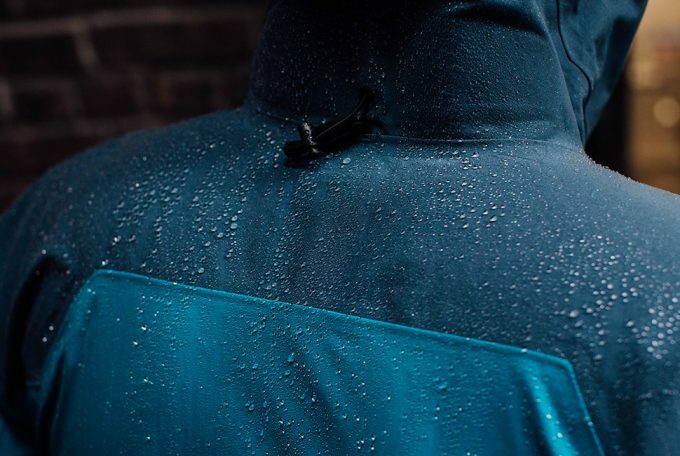 The rain jacket surface, even though it looks like it’s smooth and without holes in it – which is only logical as it’s supposed to be waterproof – it is actually made of a ton of tiny little openings that are not visible to the naked eye. These opening are designed in such way to let your sweat out but will keep the big water drops from the rain out. These jackets have a finishing that is called DWR – Durable Water Repellent. This is a technology that allows the water drops of the rain to be repelled from the surface, collect in larger drops and then simply roll of without staying longer on the jacket and causing trouble. So, in a way, your water-resistant jacket is full of small pores that need special and careful maintenance. If you want to have a high performance from your jacket for a long time you need to treat them well and often. The pores might get stuck or damaged, dirt and sweat will enter inside and your raincoat won’t work anymore like it used to. As we already mentioned, the tiny holes in the fabric are designed to be transparent only to the tiniest water particles, but also to some other things that are not pleasant at all. Being so small, you can be sure that you won’t find pieces of your yesterday’s lunch in there. Actually, you won’t find anything – they are so small that you can’t see them with a naked eye. Being unable to see what is actually happening on the surface of your jacket, doesn’t mean there is nothing going on. Just like you can’t see the dust in your room, but if you leave it intact for a week, you’ll see how the dust-covered anything. In a month, it will look like the apocalypse has begun. Dust, dirt, sweat and other microscopic things love to find peace in the pores of your jacket. They will damage the holes and after a while, the water won’t drop off like it used to. Then, you’ll be able to see the difference between the jacket you bought and how it worked when it was brand new – and the latest excuse of a rain jacket that looks like a plastic bag more than a jacket. Of course, you don’t need to experience this too soon after you buy the new jacket. 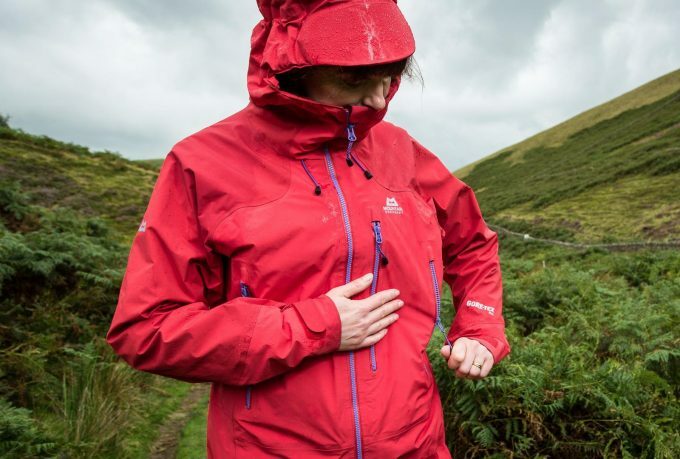 If you take a good care of the fabric and the finish, you’ll have your rain jacket for a long time without the need to get a new one – and if you’re a passionate outdoors person, you know how important it is to stay dry out there, and how unexpected rain can be. Once you realize you need to take a great care of your rain jacket, you need to learn how to clean it. The first thing you must know is how often you need to do it. If you forget about it, it will get ruined, but cleaning it too often can also make a problem rather than prevent one. 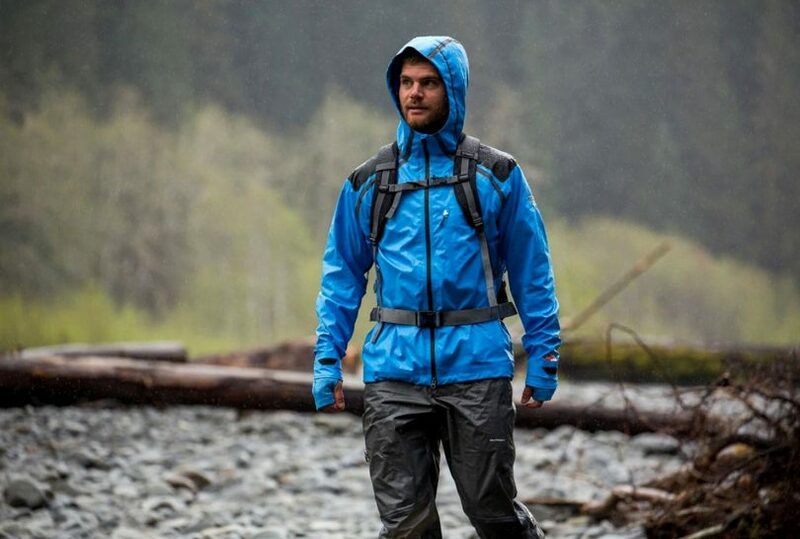 Your rain jacket will accumulate dirt, dust, sweat, and anything small enough to get inside every second of the time, no matter if you use it or not. Of course, using it will make the process faster because you’ll get in contact with more unwanted particles that can cause damage. Experts advise cleaning your jacket in accordance with how you use it. If you use your jacket pretty often and you’re in a rainy, muddy area, you should wash it after not more than two weeks. A week and a half to two weeks is best. If you don’t use it too often – and when you use it, you don’t get in touch with too much water and dirt – you can go up to a month without cleaning it. Of course, if you just have it hanged in the closet, you don’t need to do anything for a longer time. It is best to make your own judgment. If you don’t feel comfortable in it, if there is visible dirt, if it smells funny, if the water is not evaporating well, then you can be sure it’s time to make the washing. If the time for cleaning has come, treat your jacket just like all the other clothes before putting them in the washing machine. Check the pockets for some personal belongings that you might ruin or they might ruin the jacket. 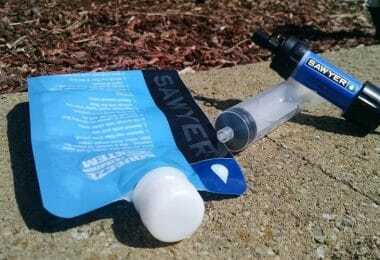 Unzip the zippers so the water can get to all the parts without a problem. Also, make sure the straps are not fastened and all the trims and flaps are loosened. This way you’ll help the washing to be done better and more thorough, but also you’ll avoid eventual damages to the gear. Water is pretty powerful and it can make damages to the straps and the other parts. Also, some part might need a different treatment, so have this in mind. Before you start washing, check your machine for some leftover detergents and cleaning products. these might hurt your jacket more than anything else. You can find some special rain jacket detergents that are best to use in these situations, so make sure you’re well prepared. You can’t simply dump the jacket in the washing machine, right? No, really, you can’t! 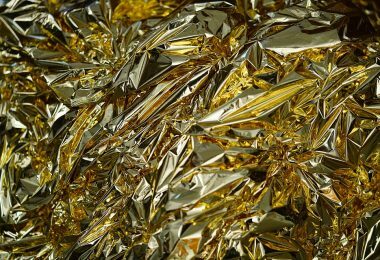 There are several things you must know before you place the jacket in the machine – this way you’ll only make a greater mess, so learn what’s best for your jacket! Before you throw the jacket in the washing machine, take it in your hands and remove all the visible things that covered the surface. Dirt, stains that you’re able to remove, everything you can see – take it off. This way you’ll help the machine wash the jacket without giving the bigger dirt a chance to disintegrate and enter inside the tiny pores during the machine-wash. It is best to get a microfiber cloth, place it little water to get it wet so it can work better and wipe the entire surface of the jacket. This will certainly do the job. Never use abrasive materials – they might be good for harder surfaces, but can only damage your water repellent jacket. Either use special materials for these occasions, or just water if you’re not sure. It is important to treat visible dirt right after you use your jacket. You won’t stop in the middle of your trip to clean the jacket while the rain is falling, but when you get home, or in camp, try to clean the jacket as soon as you can because this can disintegrate into smaller particles and enter inside the pores. It will be much harder cleaning it afterward. Most clothing labels that are selling water-repellent jackets will suggest you wash your jacket at 100 F degrees. However, the best temperature is 80 F degrees. This way you’ll be sure that your jacket won’t get damaged by the temperature, plus, you’ll know you’re taking care of the planet with this little act. Seriously, you don’t need to wash it on 100, so why do it anyway? Our advice is not to use your regular washing product. Instead, look on the internet or at specialized stores some detergent that is made for rain jackets. Regular detergents can hurt the surface and make more damage than good to your clothes that are water repellent, so try to find a product that is made for clothes like this. If there is an option on your washing machine for slower spins, make sure you use that setting. With it, you’ll have less risk of damaging your jacket by the spinning of the machine. When the cycle is over, you can let the machine make a dry cycle to take the excess water out of the surface. 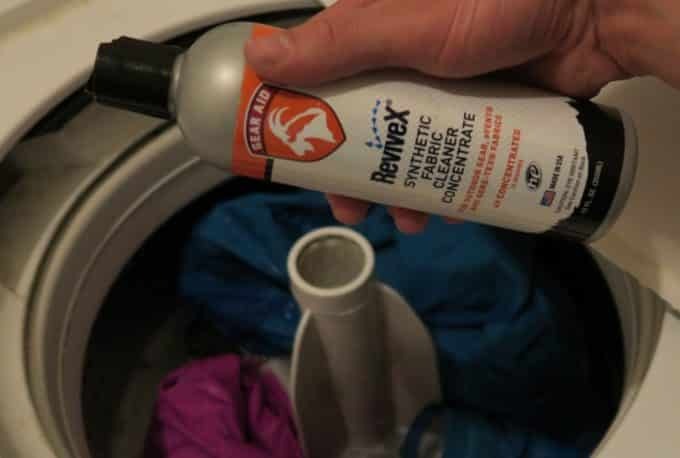 Don’t use the dryer to dry the water-repellent jacket. The driers use heat to dry your clothes which in this case is only bad for you. The heat can damage the pores and make your jacket useless. Instead, give it a dry cycle and then take the jacket out of the machine. At the end, hang your jacket in a dry place, preferably with at least little wind or air flow and wait for it to get completely dry. This way, the so important tiny pores will dry out the best leaving nothing behind and get them in perfect condition – just like after you first bought your jacket. The market is swarmed with products for cleaning rain jackets. There are lots of detergents, cleaners, sprays, waxes, creams, and other products to keep your clothes in perfect shape. If you love your outdoor adventures, you’ll need to get more products that are used on different occasions. 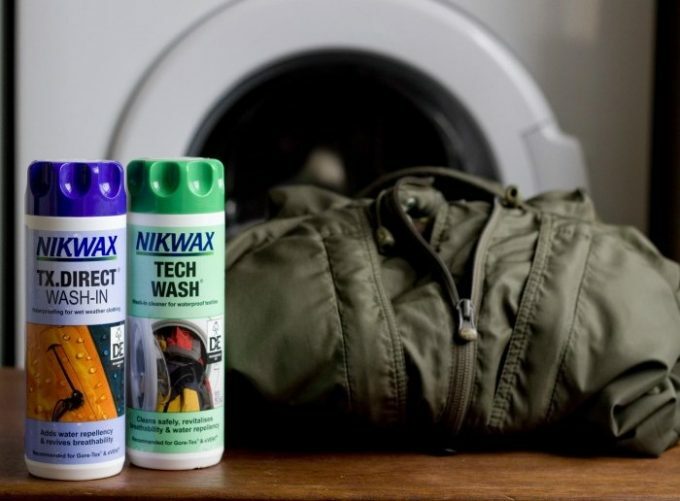 Washing the jacket in a washing machine can’t be done with your regular detergent, so you’ll need to get it washed with a special cleaning product. After the washing, it is best to keep the finishing of the jacket in shape with a wax or a spray. 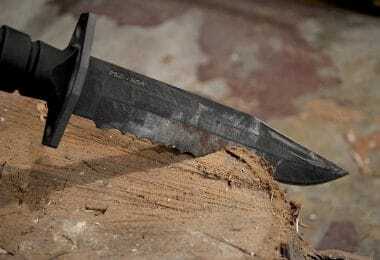 Some harder surfaces can also be polished with special water-repellent creams and then be used as waterproof. 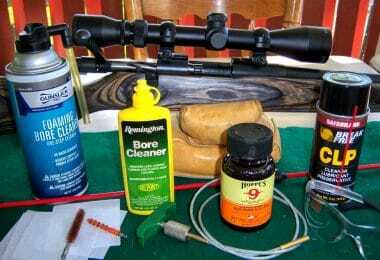 Products for such cloth care are not expensive. They range from as little as $5 to something like $20. You can find them in specialized stores for such products, stores that sell water repellent clothes or, of course, on the internet. The online stores, especially those most popular have a bunch of products for these occasions. 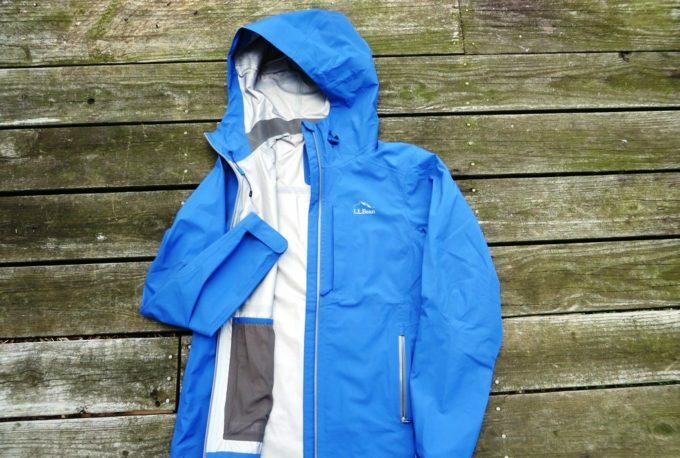 After a longer use, especially in heavy conditions, your jacket might completely lose its efficiency. You’ll see how the jacket is completely wet from the outside, but you’ll have a feeling like you’re constantly walking in a steamy room. The jacket won’t be wet from both sides, but you won’t be able to feel completely dry and comfortable inside the jacket. That means you’ll need to make a thorough clean and renew the surface of the jacket. 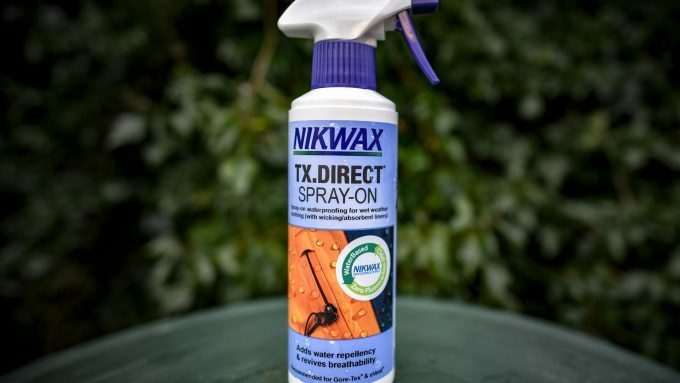 As mentioned above, you can find some excellent sprays and waxes on the market that keeps the finishing of the water repellent jackets up to date. Everything needs constant maintenance, and these jackets are nothing different. When your jacket stops repelling the water, it means it’s time to freshen it up. Get some of the products that are used to refresh the DWR – Durable Water Repellent – finish and use it on the surface of the jacket. It usually comes as a spray or a wax, but whatever you choose, make sure it’s a good product that is proven to work. After you finished everything mentioned above, after you got your jacket out of the machine and it is probably half-dry, then add the water repellent material. Cover every spot of the jacket and if some spots look like they need extra care, feel free to place some more wax or spray there. Then hang it just like mentioned above – in a room that is dry and preferable where air flows. Well, basically forever. There is no wash limit on a cloth so the right answer is – until the fabric can take the pressure of time. Clothes from different companies are stronger and more durable so it is probably a good idea to spend a little more on products that are proven to last more than others. Different jackets will hold a different amount of washing. Some will hold more rain too and harder usage. 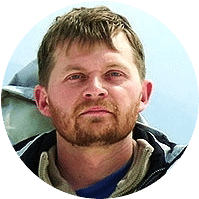 The washing itself, and the maintenance after it are things that can only give more life to your jacket, but if you do it too often, it will be unproductive. Did you Wash Your Jacket the Wrong Way? It’s not a tragedy, don’t worry. You won’t need to throw it away, but you’ll need to make an extra effort to get in the previous condition. Yes, some products might completely damage your jacket, but that doesn’t happen too often. What you’ll need to do is make the steps mentioned before. You’ll have to treat your jacket like it went under a heavy storm and wash it the right way again from the beginning. If you have made quite a lot of mess, you’ll probably need to make all the steps twice, or three times until you get the jacket in the condition you like it. It’s all fun and games when you’re in nature, the rain is falling and you’re completely dry, right? Sure, but those days might soon be over if you don’t clean your rain jacket right. That’s why you need to take the cleaning commitment pretty seriously. Your rain jacket is not one of your usual clothes so you can simply throw them in the washing machine and forget about them until you need them again. A rain jacket can’t be washed the same way, you can’t use the same detergent as for everything else, and you can’t even tumble dry them. At the end of the day, however, with the right treatment, you’ll know you have a quality jacket that won’t fail you. The most important thing you should remember is that there is no exact time to wash your jacket. Take care of your jacket after every use, and a give it a little more attention after some time. Just like your Smartphone or computer, it needs to be rebooted from time to time – only, in this case, you need to use a cloth and a spray instead of a mouse. 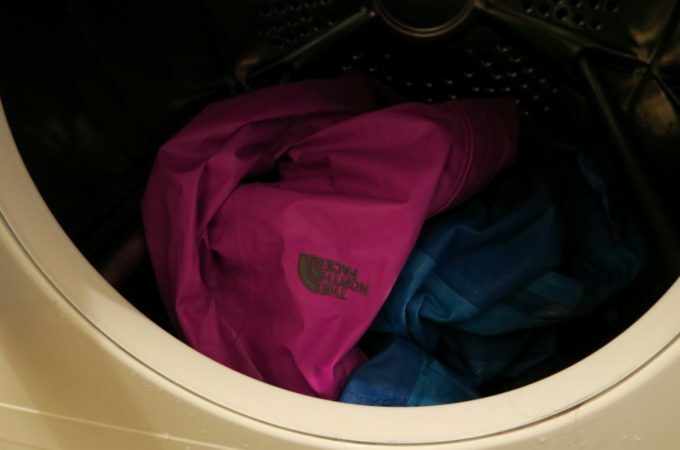 Do you have any extra tips when it comes to washing your rain jacket? Drop us a line and let us know!